Companies from across the UK descended on Heysham power stations for an Engineering and Technology Solutions Exhibition organised by Nu-Tech Associates. 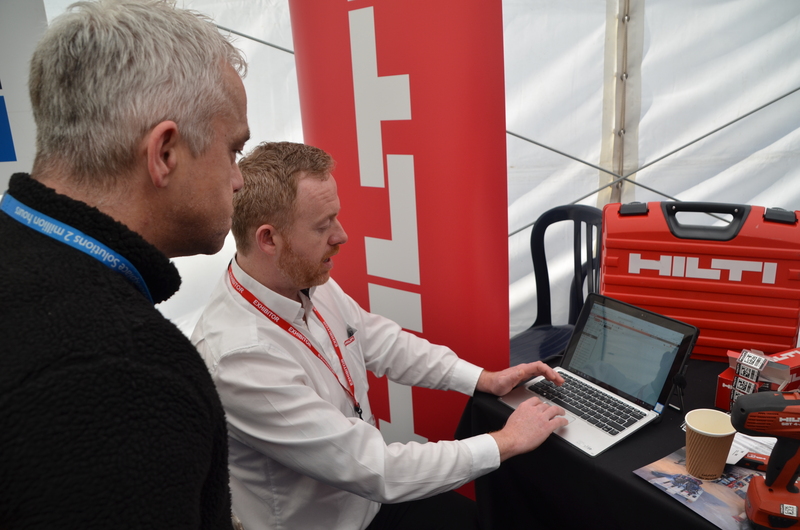 Around 600 Heysham power stations staff met with both current and potential new suppliers to find out about their products, services and capabilities. Ian Glaves, plant manager at Heysham 2 power station introduced the event and thanked exhibitors for showcasing their products. He said “Embracing and encouraging innovation would be key to finding solutions to ongoing and future needs. A diverse range of suppliers, including specialists in ageing and obsolescence, remote monitoring specialist tools, equipment and services and corrosion management attended, including a number of companies from the local area. Heysham power stations currently work with around 40 local companies and put £80m into the district’s economy every year. Jack Gannon, Contracts Manager for Applus+ Intec, said: “Today has been a great opportunity to present our full capabilities and service lines to Heysham power stations staff. Lisa Jones-Taylor, of event partner Nu-Tech Associates, said: “Bringing suppliers into direct contact with end-users in their place of work is a very effective format that we have developed over 25 years. Colin Johnston, supply chain manager at Heysham 2 power station said “This was a fantastic opportunity for staff to see what is available in the marketplace.